The Naturally Playful Sand and Water Activity Center is loaded with tons of sensory play action for little ones! 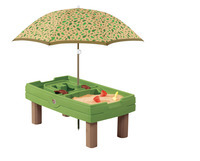 Provides both sand and water fun in two separate areas! 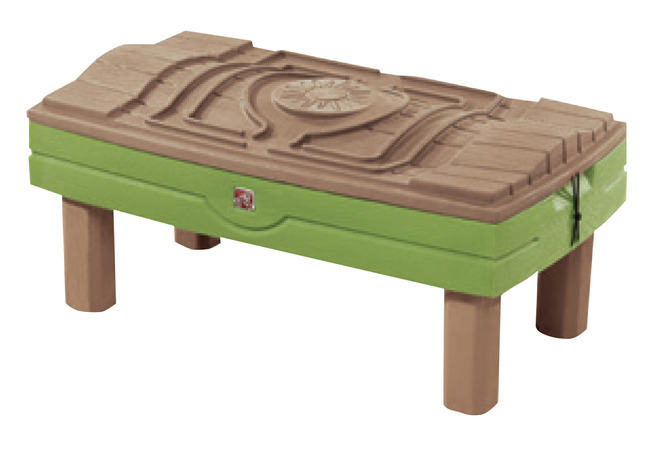 This two-sided elevated play table means less sand or water on your children's clothes and a more accessible surface for all. Children will have a blast pretending to dig up buried treasure and sailing boats in the water. Holds 20 pounds of sand (not included) and 2 gallons of water. Suitable for ages 2 to 6 years. Measures 26 W x 46-1/2 D x 20-3/4 H inches.